Edible gardens can offer not only great productivity, but also great beauty, via their showy foliage and flowers as well as wonderful fragrance and significant value to the ecosystem. Edible gardens can be grown in raised beds, in containers, in window boxes, in the front yard, on roof decks, in the ground, ornamentally in an herb spiral, or can be beautifully integrated with other types of gardens. And, with the simple addition of a cold frame, you can be enjoying your homegrown produce almost year round. 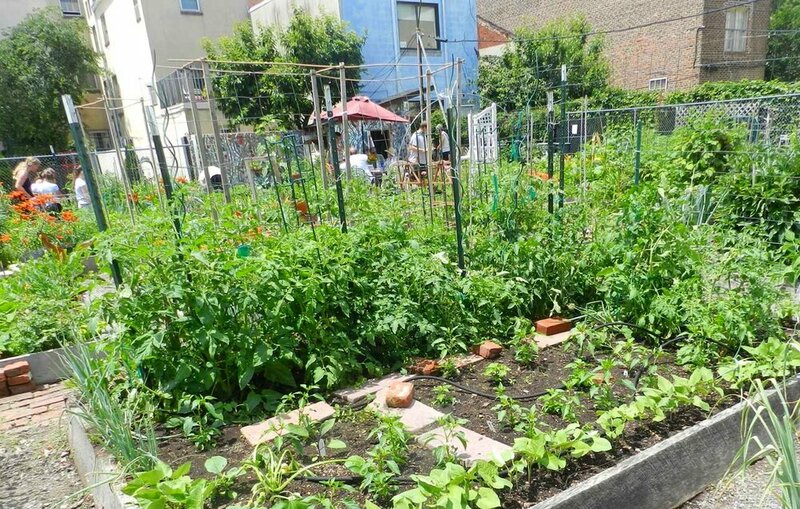 Within the city of Philadelphia, there is a vibrant and growing community of edible gardeners and farmers growing for themselves, for their communities and for the disadvantaged. It is a magical world of sharing and swapping and joy and laughter – and a community of people who love to cook and eat. For years, I have been growing and propagating for my edible gardens on my roof deck, in my community garden, in multiple City Harvest plots, in my neighbors and client gardens and in containers – anywhere that I can fit in more produce. It brings me, my family and friends great joy, beauty and nutrition.